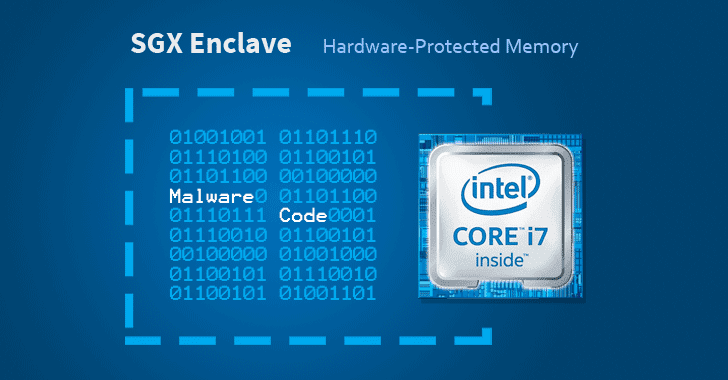 Introduced with Intel’s Skylake processors, SGX (Software Guard Extensions) allows developers to run selected application modules in a completely isolated secure region of memory, called enclaves, which are designed to be protected from processes running at higher privilege levels like the operating system, kernel, BIOS, SMM, hypervisor, etc. “Our SGX-ROP attack uses new TSX-based memory-disclosure primitive and a write-anything-anywhere primitive to construct a code reuse attack from within an enclave which is then inadvertently executed by the host application,” reads a research paper [PDF] published Tuesday. The researchers said the proof-of-concept exploit developed by their team bypassed ASLR, stack canaries, and address sanitizer, to “run ROP gadgets in the host context enabling practical enclave malware,” noting that the entire exploit process took 20.8 seconds.